← Double Sided 7-Segement board. 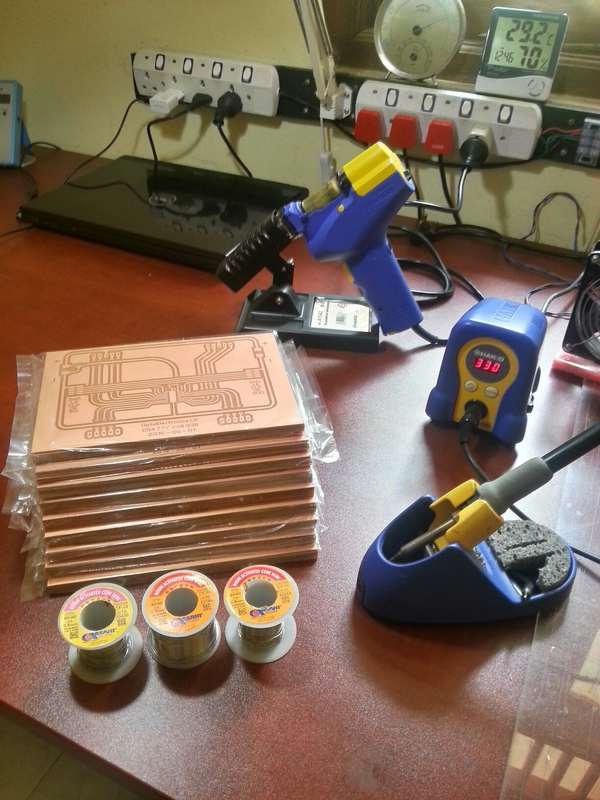 My team have to solder 60 PCBs (135x201mm). 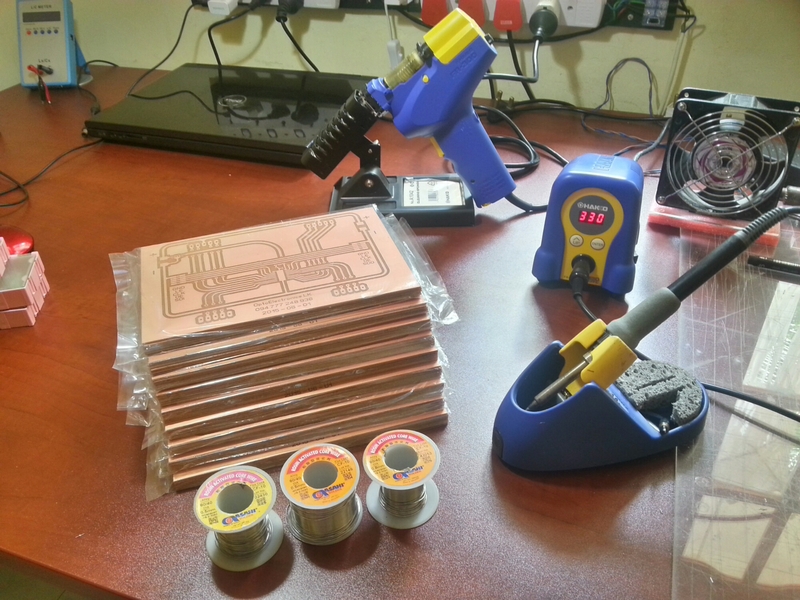 Also they have to use 3 type of solder wires and 2 types of soldering tips for different parts. This entry was posted in Digital Electronics and tagged 16F628A, Arduino, asahi, ATmega, AVR, Colombo, Digital, digital clock, hakko, Pasan, pasanlaksiri, PasanMicroProjects, PCB, PIC18F, pictronics, Sri Lanka, Thalawathugoda. Bookmark the permalink.